Here at Theryon, we’re crossing our fingers and toes that Monday’s snowfall was our last. But since we continue to see patients coming in with injuries due to snow shoveling, (and since Mercury is in retrograde, if you believe in that sort of thing) we want to give you resources to keep you strong and protected- hopefully, for next year. 1) Warm Up! Don’t go out in the cold with cool, tight muscles. Before you begin shoveling, it is important to warm up your body by stretching and doing some aerobic exercises. Remember to stretch the muscles you are going to be working out (the quadriceps, the core, the upper back, the triceps and the hamstrings). An example warmup could be a 45 second quadricep stretch per leg, 20 twists per side for core stretch, 30 chicken wings, a 45 second shoulder stretch per arm, a 45 second tricep stretch per arm and a 45 second hamstring stretch per leg. 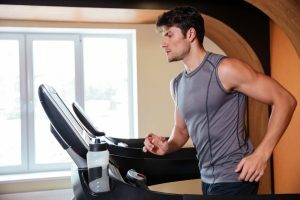 You can even jog in place for 2-4 minutes to get your blood flowing. If you can do an 8-10 minute warm up, you dramatically decrease your potential for injury. 2) Get in Gear: Make sure you are wearing proper attire. 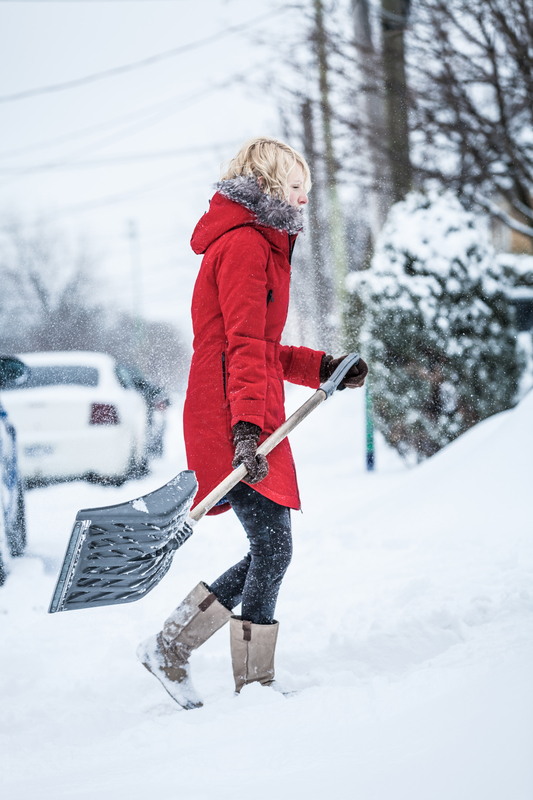 You want to wear something that will keep you warm but also well ventilated: snow shoveling can be sweaty. 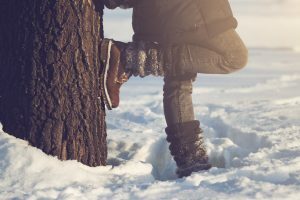 Although you may not want to get your newest boots dirty in the snow, you should remember to wear comfortable snow boots for warmth and traction. 3) Timing is Everything: Make sure to shovel early on in the snowfall when the snow is light. Snow tends to be heavier when it starts to melt. Save your back by timing it just right. 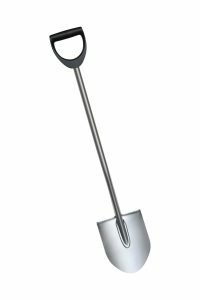 4) Keep it Light: When shoveling, lift smaller quantities by loading up half of the shovel, rather than filling up the entire shovel. 5) Use the proper tools: Use a light shovel with a comfortable handle. Preferably, use a shovel with a shaft to help keep your back as straight as possible while lifting. This will avoid situations where you have to bend too much to lift a load. 6) The Technique: When lifting, press down on the feet, keep most of your weight on the balls of your feet, squeeze the glutes, tighten the core, bend the knees, and lift with your legs not your back. This motion is very similar to that of squats except, you are not in the gym and you have a shovel in your hands. After lifting the snow, turn your entire body in direction that you are throwing the snow. A good way to do this is to keep your feet pointed in the direction you want to throw the snow. You do not want to only twist your spine. 7) Stretch it out: Shoveling is a repetitive activity so it can cause strain to the lower back or shoulders. Always remember to take periodic breaks, during these breaks drink plenty of water and stretch. You can do a backwards stretch by placing your hands on hips and leaning backwards. 8) Stay Hydrated! 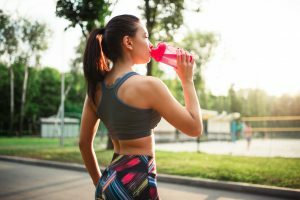 Remember proper hydration: although you might not feel thirsty in the cold weather, continue to drink plenty of water. Don’t let snow in April get you down- just save your back for the summer fun.